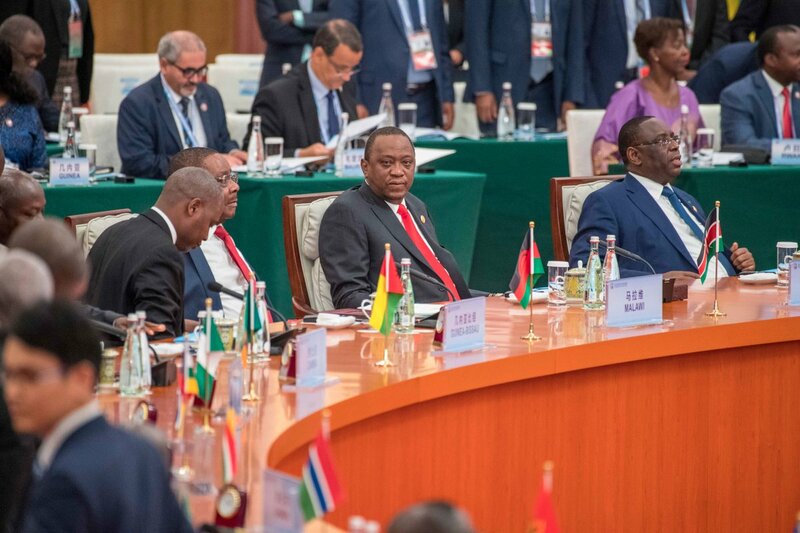 President Uhuru Kenyatta attended a high-level business forum in Beijing, China on Tuesday where he witnessed the signing of several public private partnership deals with Chinese investors. The agreements were signed at the Great Hall of the People as Uhuru and Chinese President Xi Jinpinglooked on. Among the deals signed on the sidelines of the China-Africa Summit was an MoU between the University of Nairobi, Beijing Jiaotong University and Kenya Railways Corporation for the training of Standard Gauge Railway (SGR) engineers and managers. The memorandum was signed by UoN Vice-Chancellor Peter Mbithi and Acting KRC Managing Director Philip Mainga. Uhuru asserted that human-capacity building was an “important by-product” of the SGR. “My government appreciates your government’s commitment to develop jointly with our Railway Training Institute, the appropriate vocational and technical skills to ensure optimal management of the rail network on a sustainable basis,” he stated. Uhuru and Jinping further witnessed the signing of an economic and investment cooperation agreement in which Kenya is to receive a grant of Sh4.5 billion for the implementation of projects involving both nations. Kenya also secured funding for construction of the Western Bypass in Nairobi which is expected to play a part in easing the city’s world-famous traffic problems. The road starts from Ruaka and terminates on the Nakuru highway at Gitaru in KiambuCounty. The two nations further signed a cooperation agreement within the Silk Road Economic Belt and the 21st Century Maritime Silk Road Initiative framework. The framework is considered the blueprint for China’s global investments and, according to Jinping, aims to foster shared prosperity among nations. Other projects taken up by Chinese firms include a 30 kilometre expressway from the Jomo Kenyatta International Airport (JKIA) to Westlands, Modogashe-Habaswein-Samatar and Elwak-Rhamu roads in North Eastern at a cost of Sh15 billion and development of Dongo Kundu Special Economic Zone in Mombasa.